On Saturday 8th September six of us attended the Scottish Meeting of the British Association of Friends of Museums in the fantastic surroundings of Duff House in Banff. This was the first time our group had attended a Bafm meeting. The day started with the usual registration and cup of tea. The main speakers in the morning told the conference about the lives of Scottish Fisher Lassies. This was brought to life by the attendance of a 96 year old former "Fisher Lass". Some fisher songs were also sung. The four songs were very evocative. After lunch VisitScotland gave a presentation on tourism and this was followed by an "About Ourselves" section where I gave a presentation showing the work of the Friends and other groups told what they had been up to in the last year. All in all it was a very good day though my nerves were a bit frayed as I got there to find that the promised sound system for my presentation didn't exist! This meant I couldn't let the audience hear a sound clip, podcast and film excerpt. However I think the presentation was well received. It was a bit disappointing that so many central belt groups didnt attend as they thought the conference was to far away. Of course we always have this difficulty when conferences and meetings are held down the A9! Maybe there should be a Northern Scotland Regional Group. 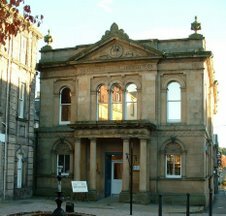 It would be a good thing if we had mutually beneficial links with our neighbouring Aberdeen-shire museums. 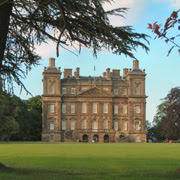 We did get a chance to look round Duff House itself and I would recommend you pay a visit if ou've never been there.